February 11, 2019 (Last Updated: April 7, 2019) - As an Amazon Associate I earn from qualifying purchases. 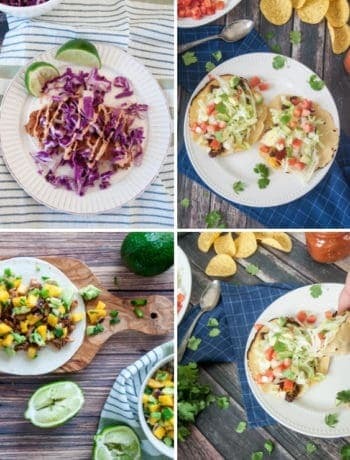 Is it meatless Monday, looking to count calories, or just want some super flavorful tacos? 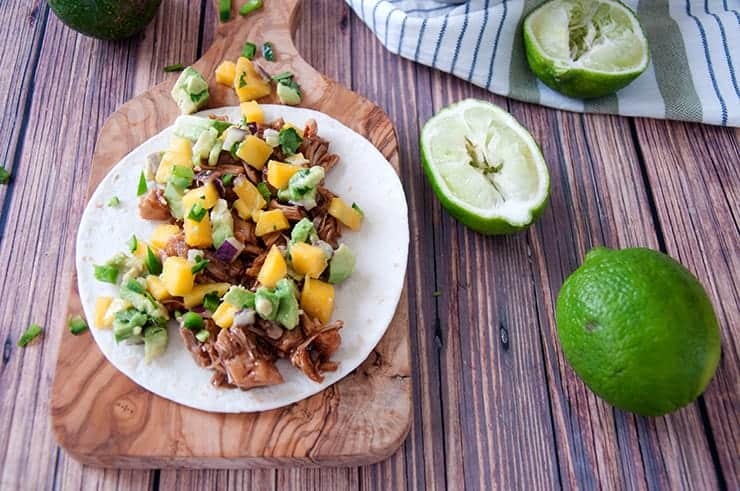 Try these BBQ Jackfruit Tacos and don’t forget to make this mad-delicious mango salsa! 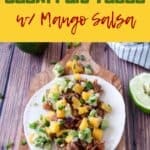 I had a lot of fun making this BBQ Jackfruit Tacos with Mango Salsa recipe as part of our Taco series. It is great when I can experiment with new ingredients and since I have a vegetarian in the house, this was doubly fun. 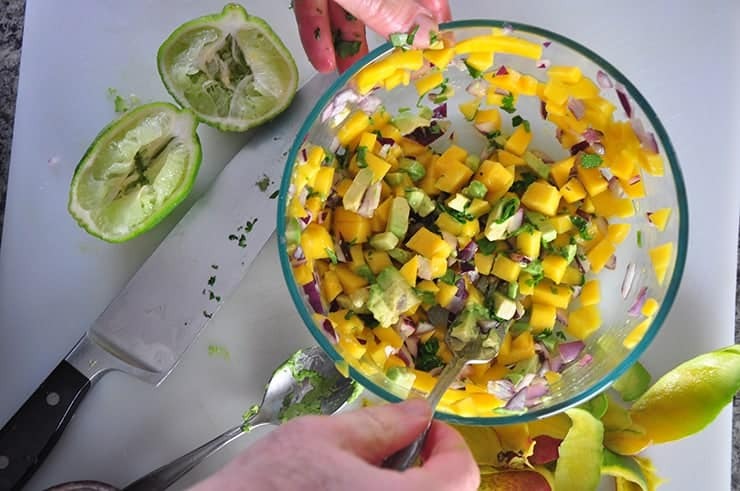 Both the mango salsa and the jackfruit go very well with the BBQ flavors. 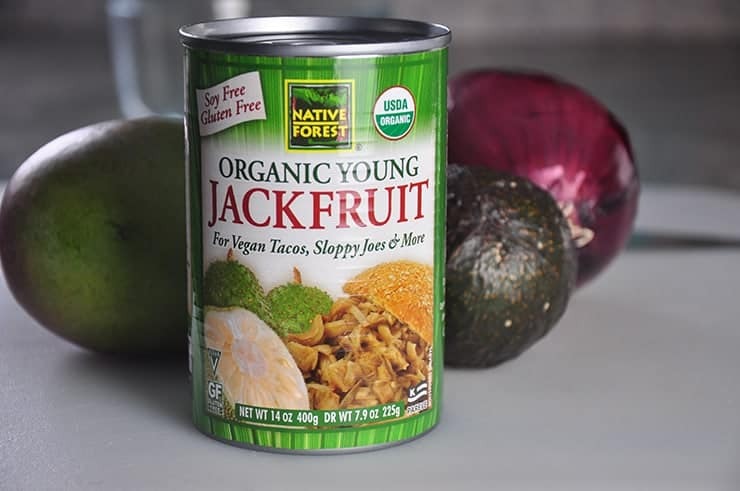 Whether you are vegetarian, trying to knock off some calories from your dinner, or just want to try cooking something different, these jackfruit tacos might be for you! 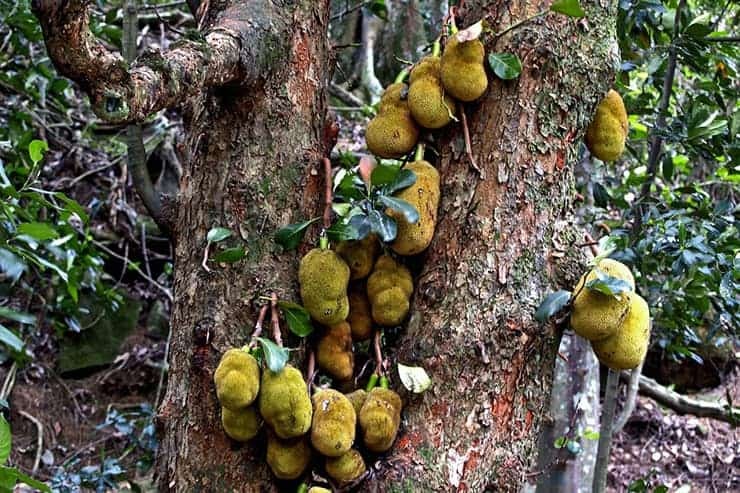 The jackfruit is from the jack tree and is related to the fig and mulberry tree. If you see them in the store, you might notice that they are hard, big, green seed-like things. What we eat is the fruit of the jack tree and the inside of the fruit. Apparently, when it is ripe, it tastes sweet like a mango. I have not had ripe jackfruit yet. As an unripe fruit, it has a more neutral flavor. The young jackfruit has a neutral flavor and has almost a meat-like texture. When prepared correctly, it has a sort of stringy texture that is remarkably similar to pulled pork. Is it a perfect substitute for pulled pork? Oh, heck no, but it is a reasonable substitute for pulled pork and that makes it great for these vegetarian jackfruit tacos! Why Use Jackfruit and Not Pulled Pork? It is a vegetarian dish. 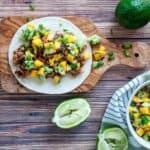 If you are a vegetarian or are working to eat a little less meat, these jackfruit tacos are a great way to get some great flavors. Improve your health. Jackfruit has far fewer calories, fat, and cholesterol than pulled pork. If you are working to improve your health, perhaps this fruit can help you get there. It is fun to try something new! Using jackfruit in this way certainly helped me try something new. 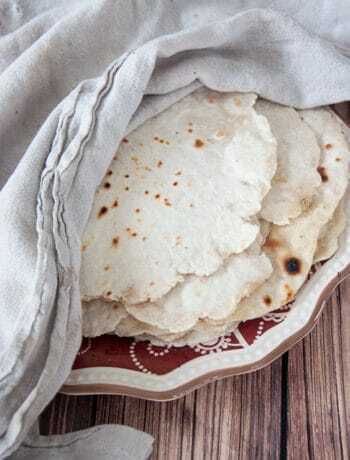 When I was originally experimenting with this recipe, I was using taco seasoning to try and pull the most out of the dish. The thing about jackfruit is that it resembles pulled pork enough that I felt it far more appropriate to incorporate BBQ flavors instead of Mexican flavors into the seasoning. Sure enough, when I tried BBQ for the first time, I knew it was a much better match and it worked so good with the mango salsa. 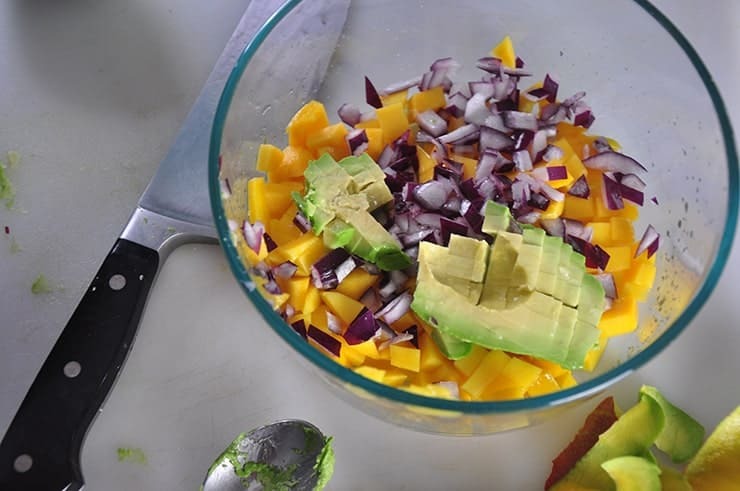 I am including the specific canned jackfruit product I used in this recipe. 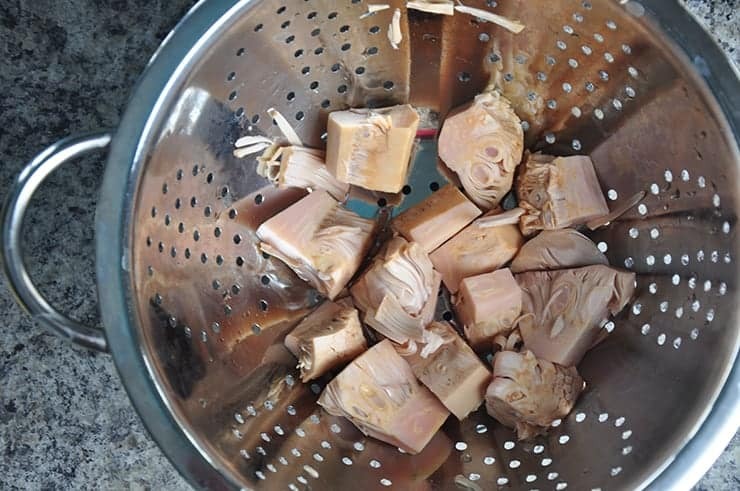 I had tried a few other pre-prepared jackfruit products and they were fine, but if you can find or order canned jackfruit, it is really easy to work with. While I have seen fresh jackfruit in the store, I decided to leave that for a different day. Also, I know it isn’t available all over and for everybody, but you can generally find something close to the product we used in your local store or health store. I think it is worth mentioning the texture of the raw product prior to being cooked. The texture is as though it is a steamed artichoke crossed with pulled pork. As wierd as it seems, that is the first thing that came to mind. As I cooked the jackfruit, I used my metal spatula to cut into and shred the jackfruit. It may be worthwhile to chop the product before you cook, but I don’t think it is necessary. Just take a bit in your fingers to feel the texture and I am guessing you will get a sense of how it might fall apart when cooking. 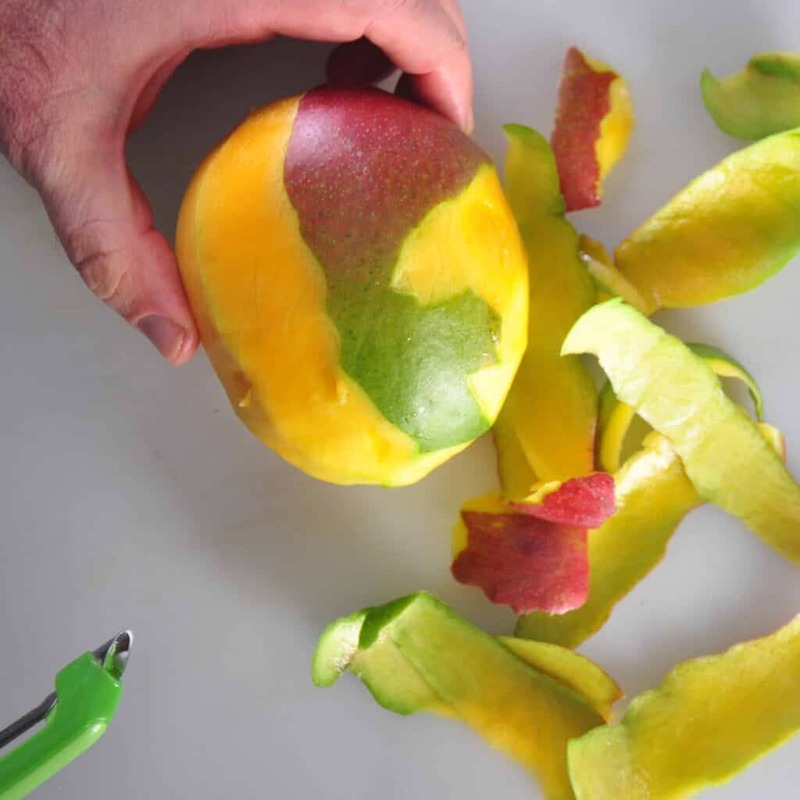 This fruit does not need to be cooked very long. Really, all we want to do is heat it up, pull the fruit apart enough so that it has the feel of pulled pork, and then add our bbq. 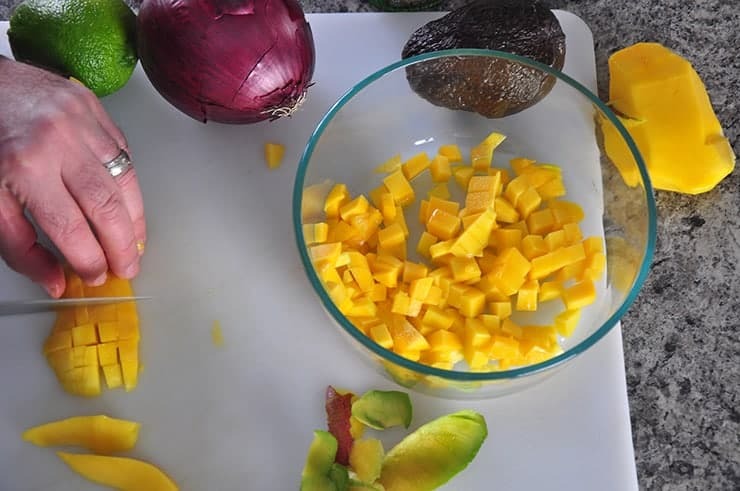 This mango salsa is really tasty. 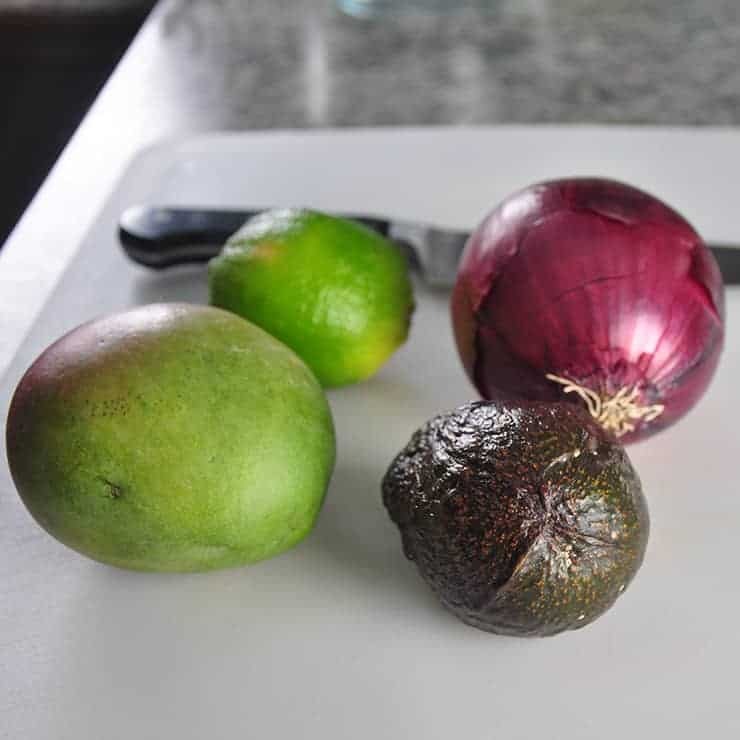 The avocado, onion, and cilantro all work really well together to make a great sweet salsa. Add a little bit if heat with jalepeno and it really comes together. It works so well with the bbq sauce and the jackfruit. This is a savory and sweet taco that works really nice together. The jackfruit is a fun ingredient to play with and you might be surprised what you can do with it. 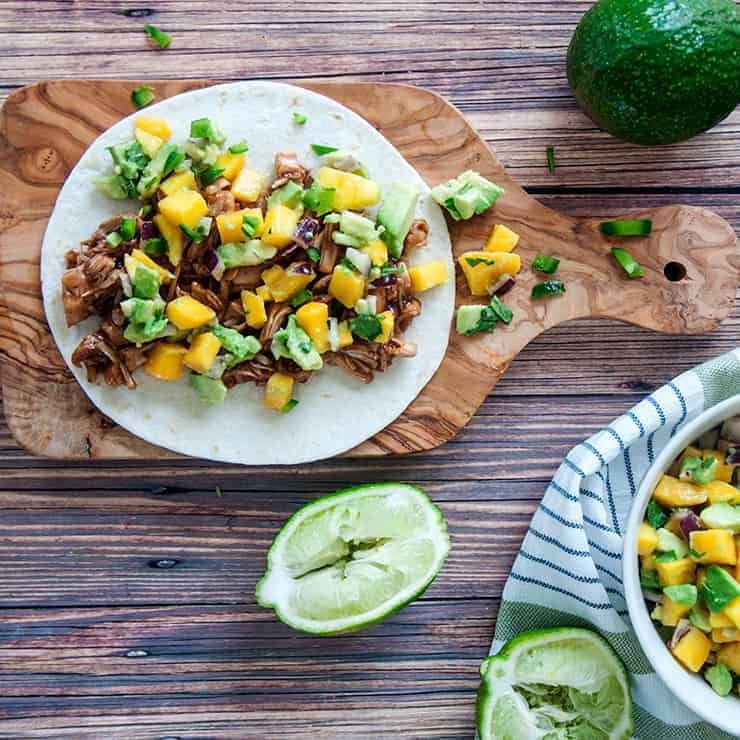 First, try out these tasty BBQ Jackfruit tacos with Mango Salsa and then explore your next recipe. 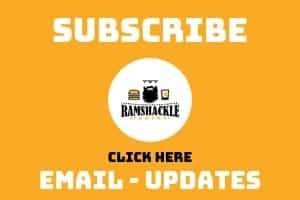 As always, if you like what we are doing here, please subscribe to our email and also follow us on Instagram.